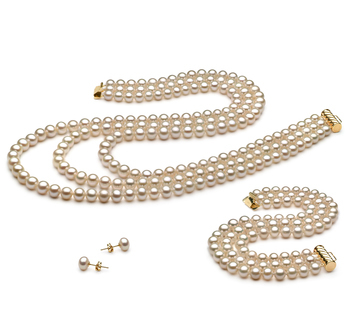 The classic pearl set is a time-honored staple accessory in many women’s wardrobes. 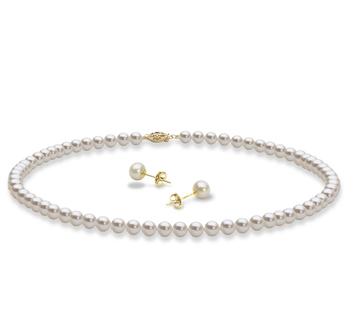 Most tend to be made up of a matching necklace, earrings, and bracelet. Here we can offer you such sets. When it comes to you choosing the right white Freshwater pearl set this can prove quite challenging as it will need to suit the personality of the wearer, plus the kinds of events where it will be worn. Below we take a look at the main kinds of sets of pearls you can now purchase. 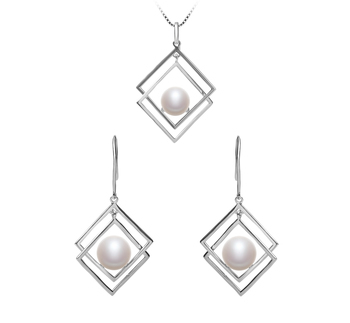 This type of white Freshwater pearl set will include a ring, necklace, and earrings. 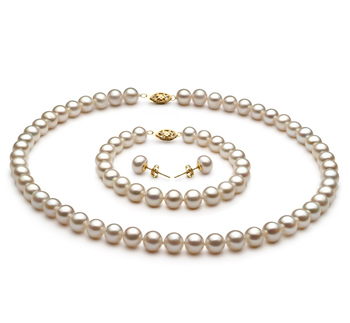 They will all have one pearl in them that is of the same color. 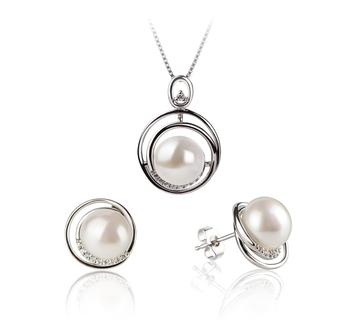 You can wear this type of pearl set at various different events and won’t look out of place when teamed with casual or formal wear. This is what many women see as the iconic pearl set, and is both timeless and ageless. 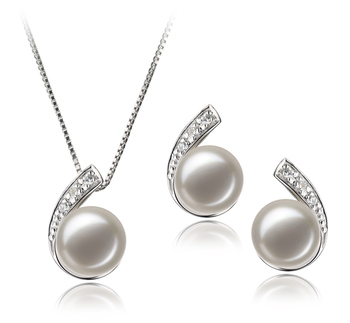 This style of white Freshwater pearl set will easily help to accentuate any woman’s feminine side more when they wear it. We offer such sets that comprise a mono-strand necklace and bracelet along with a pair of earrings set with a single pearl. This style will really help to soften the look of business attire without any real effort on your part. 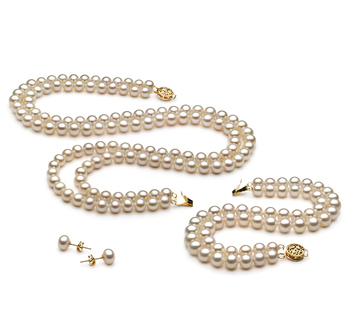 Of all the white Freshwater pearl jewelry sets you can get today many see this as being the most elegant one in our collection. 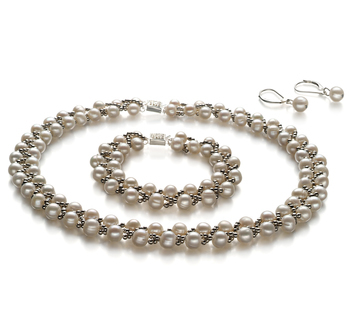 Like the mono-strand set, ours is made up of a necklace, bracelet, and earrings. 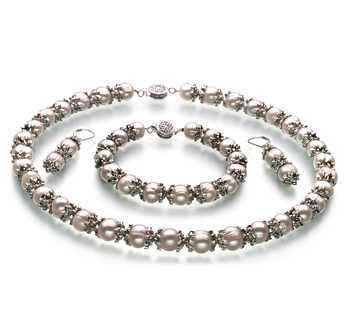 This type of set will look fabulous when worn to a formal party. 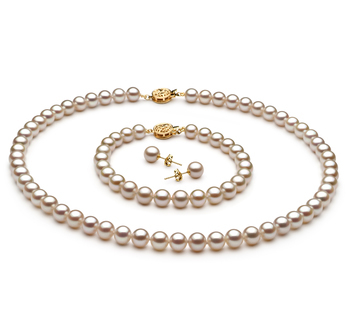 Any woman who chooses to wear a double-strand White Freshwater pearl set will look elegant and poised without too much effort. 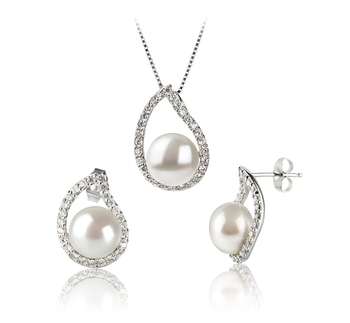 Looks very similar to the single White Freshwater pearl set, but also includes within the design either cubic zirconia gemstones or diamonds. 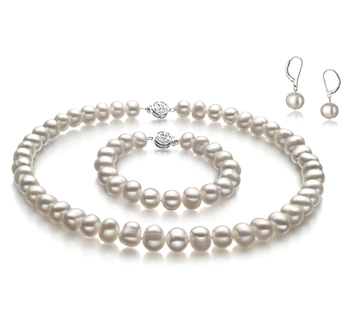 Such White Freshwater pearl jewelry sets will add a further touch of refinement to any outfit. 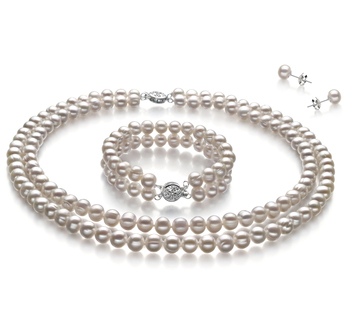 Such sets can be worn with business suits, or a beautiful gown when attending a more formal evening event. 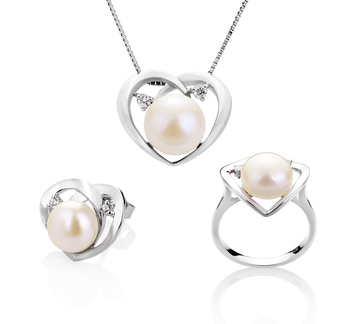 So now you have the necessary information why not take a look through our White Freshwater pearl set collection to find the ones that suit you the best. Remember to choose a set that doesn’t only suit your taste, but also your personality and fits in your budget.